Do you consider yourself a tea lover? I couldn’t imagine going through my day without some flavor of tea. If you ask my husband, he will probably even tell you I’m a tea addict with how many pots of tea I drink a day, and the varieties of different tea we have in our pantry. Because of my love of tea, I am always on the lookout for new teas, especially from companies (as any tea people will tell you, every company has their own special ingredient mix, even for well-known tea combinations). 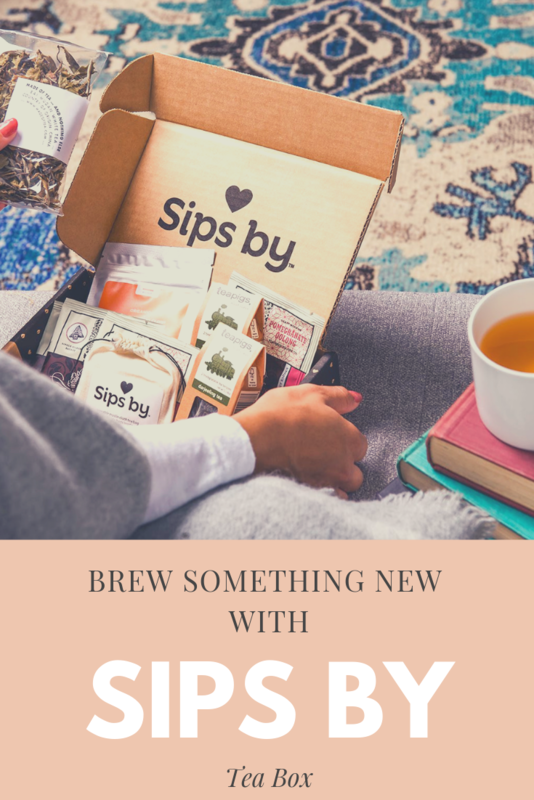 As a tea lover, it isn’t too shocking that when I heard of a new tea subscription box – Sips by – I knew I had to try it! Are you someone who enjoys a good cup of tea? If so, we think you will love the Sips by Tea Subscription Box. 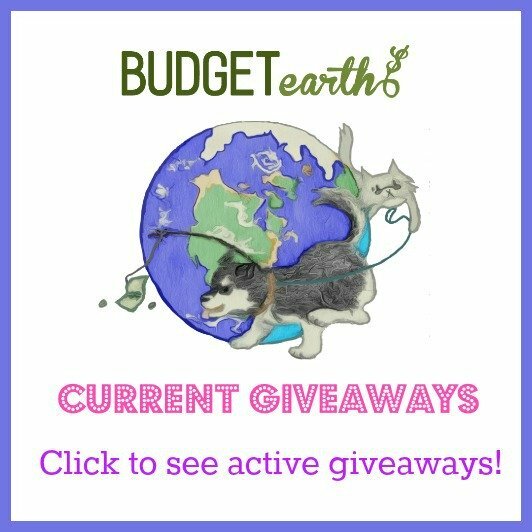 Each month, this fun, curated, and customized box features 4 unique teas (15+ cups) that are uniquely selection based on your profile. Through the box, you can discover over 100 artisan brands of tea from all over the world, allowing you to expand your palette with unique flavors and blends. Along with being able to choose from both herbal and caffeinated options, you can also receive exclusive offers and discounts in your box as well, allowing you to repurchase your favorite teas from the box at fantastic prices. With Sips by, you know that each month you can send your taste buds on a fun adventure without hurting your wallet! When my Sips by box arrived, I have to admit; I was pretty excited. Compared to many subscription boxes I have received, it was a nice sized box that was fairly full of product (which is, of course, tea!). Inside my box, I got two types of loose tea (vanilla matcha and bird song oolong) and two types of bagged teas (berry essence and treapigs happy with lemon balm). As you can see, everyone about the box is colorful and cheerful, bringing a smile to any tea lovers face. What impressed me the most though is how thorough the box was by also including re-usable muslin clothe tea bags. These well-made tea bags are something tea lovers will love, especially if you enjoy bringing tea with you while traveling. 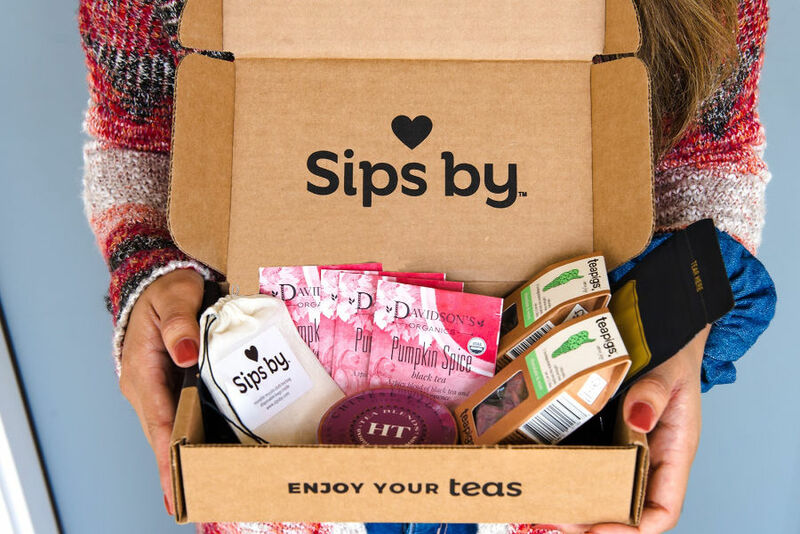 The only thing I honestly can’t vouch for is the customization since I was sent a box as a sample, but if all the boxes are like this one, I would be delighted to receive this tea subscription box each month! 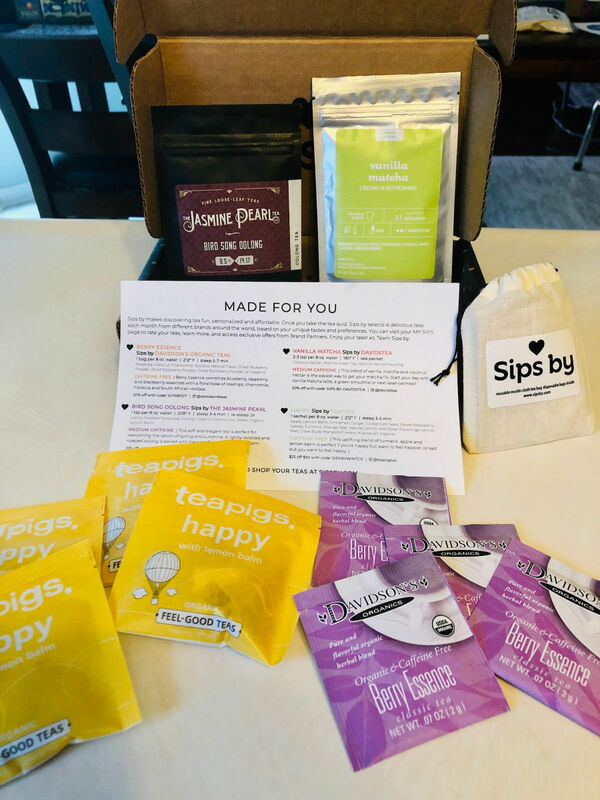 Overall, I have to say I am quite happy with this subscription box and I am looking forward to some relaxing evening sipping lots of new, yummy tea! Know someone who would love the gift of a tea subscription box or want to have this box delivered to your door? You can find everything you need to subscribe on the Sips by website for $15 a month. It is also easy to gift the Sips by with 3, 6, and 12-month gift packages, making it an excellent gift for Mother’s Day or birthdays! Who knew enjoying a cup of tea could be so easy? I’ve actually tried this box before. I really like it too. I love tea! I try to drink it once a day at least.